The dramatic chart for Black Friday in Paris, discussed here over the weekend and displayed below, featured not only Saturn square Neptune, but Jupiter-Chiron t-squaring the Moon. The Saturn-Neptune square has been discussed at length (more could be said, but one thing at a time), but this post focuses on Jupiter and Chiron in collaboration—a topic I believe deserves more attention when it comes to the extremist impulse and the path to healing that impulse. How did the Islamic State attract so many followers and conquer so much land? By being more ruthless, more apocalyptic, and more devoted to state-building than its competitors. The shrewd leaders of the Islamic State combined two of the most powerful yet contradictory ideas in Islam-the return of the Islamic Empire and the end of the world-into a mission and a message that shapes its strategy and inspires its army of zealous fighters. In mundane astrology, this lethal conflation of ideological extremism, empire building and apocalyptic thinking certainly implicates the outer planets—Uranus, Neptune and Pluto—but we ignore the contributions of Jupiter, Saturn and Chiron at our peril. As the so-called “social” planets, Jupiter and Saturn channel the energies of the outer planets into our everyday lives as citizens, affecting our social/governmental structures, legal systems, higher education, business practices, relations between groups divided by class, religion and ethnicity, and so on. The enduring “security v. privacy” debate—not to mention the current xenophobia regarding immigrants—is certainly fueled by these social dynamics and, of course, personal experiences and biases. The personal planets and luminaries—Sun, Moon, Mercury, Venus, Mars—impact the means by which individual/local events unfold, often implementing the priorities of other levels. On Black Friday, Mars (violent means) conjoined the North Node and opposed a belligerent Aries MC. The Mars-influenced Node sextiled the Cancer AS—together these aspects remind us that the angles of a chart create opportunities for events in time and space. Chiron occupies a unique position in our solar system, bridging the social and collective levels as it orbits between Saturn and Uranus. Chiron expert Martin Lass describes Chiron and all that its 1977 discovery has meant for humanity as a “paradigm” that answers one fundamental question: “What if both mind and body were mirror reflections of one another and both were reflections of a consciousness that lies beyond both?” As with most Chiron scholars, he concurs that with Chiron, the path to Healing a wound (capitalization always indicates the broadest possible application) lies in returning mindfully to that wound, opening to and acting upon the solutions carried within the wound itself. There seems to be general agreement that Chiron’s paradigm thus underlies the physical, mental, spiritual and metaphysical healing disciplines, whether oriented towards individuals, families, societies or the world at large. So, what can this tell us about the dynamics of terrorism? One gruesome, but real consideration would be to examine why an individual would offer him/herself up as a suicide bomber. As reflections of ideological leanings and psychospiritual wounding, respectively, Jupiter and Chiron could certainly be involved in such a decision. This duo would likely be reinforced by Sun/Moon placement and perhaps by Mars, implicated in the choice of violent means. Personal planet connections to Neptune (martyrdom/victimization) may also be key. Those who make such fateful choices become tools for the ideological masterminds of the attack—strategic players who leverage the personal pathologies of their agents and embody the megalomania of toxic leadership—Jupiter-Pluto at its darkest. Jupiter and Pluto were trine on Black Friday. - In December 1999, Chiron conjoined Pluto at 11°+ Sagittarius, laying the groundwork, I would argue, for the massive attacks of September 11, 2001. By the time of the event, Chiron had separated from Pluto to oppose the Gemini Moon, sextile Uranus, powerful in Aquarius, and trine Venus in Leo, denoting wounds inflicted on the finance industry that day. Chiron’s connectedness allowed the attackers a prime opportunity (Uranus sextile) for major destruction and maximum terrorizing (primal wounding) effect (Moon opposition). - Between December 1999 and September 11, 2001, Saturn (10°+ Taurus) moved from its waxing inconjunct phase with Pluto to just past exact opposition (14°+ Gemini) , a culmination point for the tense agenda seeded in this duo’s 1982 conjunction in late Libra. Chiron and Jupiter were widely opposed in that 1982 chart (see below), with Chiron forming the focal point of a tense yod with Neptune and Saturn-Pluto. As we’ve seen, these are the “usual suspects” with terrorist events and a yod fits the “damned if you do, damned if you don’t” dynamics we’ve seen with the terrorist threat. With the 1982 chart set for Washington, D.C., Saturn and Pluto were beginning their new cycle in the 7th house of enemies. Amazingly, the tense configurations of that pre-9/11 period set the stage for the ensuing years of war, in which the “enemy” has continued to be global terrorism, more than the specific nations of Iraq and Afghanistan. This stubborn challenge was reinforced by the 2009 Jupiter-Chiron-Neptune conjunction in late Aquarius (chart below), a seminal astrological moment coinciding with the shift of control from the Bush to the Obama administration, and the disappointing “end games” that followed for both the Iraq and Afghanistan conflicts. Of Chiron conjunct Jupiter, Lass says, “Sensing the underlying plan and feeling innately that we are all destined to be free to shine, this aspect can confer a call to champion the cause of freedom in the world…on the other side, this aspect can confer issues and Wounds around justice, fairness, equality, morals and ethics.” Clearly, justice, fairness, morals and ethics are seen through the lens of cultural perspective and historical experience, but everyone responds on some level to these dynamics: the idealism that motivates U.S. soldiers to fight these wars also motivates those who consider themselves oppressed by Western ideals and practices. Even though nearly a millennium has past since those dark days, the Crusades waged by Christianity against Islam in the "Holy Land" is a deep cultural memory in the Middle East, a Wound that has been ripped open time and again, with no healing in sight. It’s worth noting that just after Easter, 1096 A.D., when the first Crusaders left Europe for the Holy Land, Uranus and Neptune were tightly square (Aries-Cancer), with Chiron sandwiched in between Uranus and Pluto (both in Aries) and Jupiter sextile Uranus (and possibly Chiron) from Aquarius. Perhaps today’s heavy focus on cardinal signs is a red flag that it’s time to resolve this “Us v. Them” Wound once and for all. Chiron conjunct Neptune elevates this gnawing spiritual Wound, which fuels terrorism, to the level of a “Holy Grail”-type quest. According to Lass, “Depending on our level of Healing and evolution of consciousness, this can…disassociate us from reality and make it virtually impossible for us to touch the ground, so to speak…we would expect to see all manner of escapist behavior, from drugs to organized religion.” The “quest” of extremism is to recast reality in its own apocalyptic image, the most lethal form of escapism. Taken together, the ideologically-charged Jupiter-Chiron-Neptune stellium, super-charged by Uranus, speaks to the chaos extremism is capable of producing in the name of God. 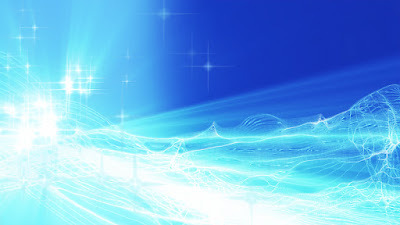 But in Aquarius, it also speaks to the possibilities for a lighter, less fear-driven vision. It says we can do this, if our “better angels” prevail.